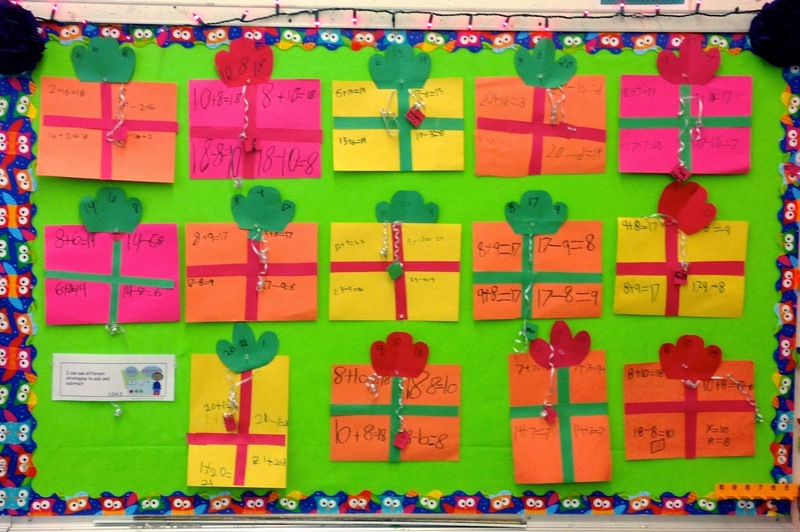 4 Ever a Teacher: Did anybody see December? Today was our last day for the month....Yippieeeee Hooray! I really do not know what happened to the month. Everything is a blur, but I know we did A LOT!! I am so looking forward to family time, movies galore, munching-out, catching up on some self-selected reading, and RELAXING! 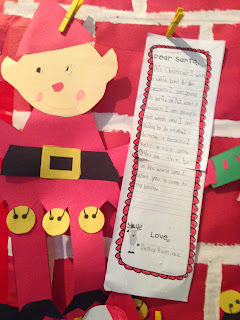 My kiddos and I had so much fun learning about all things gingerbread, but you can't have December without writing a letter to dear old Santa. We used Christie's, from over at First Grade Fever, Holly Jolly Elves! craftivity. It is amazing the effort and focus that goes into the writing when it is something this important. Well, can you blame them? 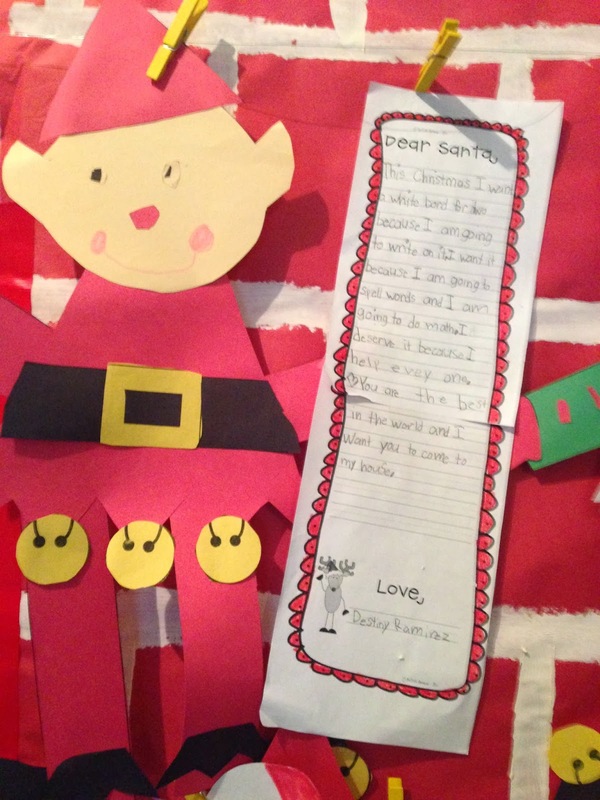 You don't want to make any mistakes when it comes to getting your message out to Santa. 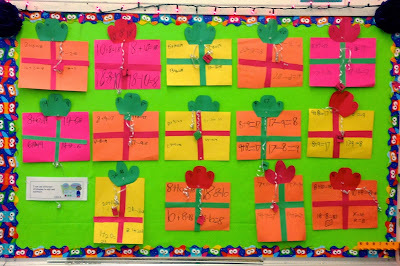 And of course, we made sure our Fact Family presents were accurate! This very easy and cute activity came from Cara over at The First Grade Parade. You must check her out. I love here stuff! Every month we practice building sentences. It starts out as a whole group activity, then table groups, and then as an option during Daily 5. 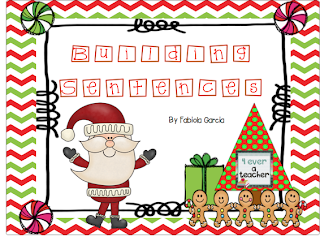 It is a great way to practice word order, sight words, academic words, and ending marks. If you would like your own FREE copy, click here or the picture below. May your holiday season be filled with joy, blessings, and wonderful times.